Getting married for the first time was stressful enough, however, life likes to throw in a few curve balls every now and then, and before you know it, you’re heading down the aisle for the second time. While you know you’re in love, you’re also feeling apprehensive about this commitment. While it’s normal to be nervous before such a big move, you need to get your nerves in check before you say “I do.” Those two words solidify a bond, and while you may have done it before, the fact that your first marriage didn’t work out may leave you feeling extra nervous about your second one. However, it’s important to remember the reasons why you said yes to the proposal in the first place. Remember what it is you like about wedding planning and engage yourself in the organizing process right from the start. This is your chance to redo what you didn’t like at your first wedding and pick out an even more fabulous dress. Planning and preparing for your big day is a great way to distract yourself and push any doubts aside for the time being. Putting yourself to work should quickly dissipate any fears you’re feeling currently. Sit down and make a list of reasons for why you’re getting married again and what it is you love about your future spouse. Be specific and take your time with this exercise so you’re getting down to the real explanations for why you said yes in the first place. Reviewing these thoughts regularly will likely provide you with the boost of confidence you need to move forward with a smile on your face because you know deep down you’re making the right decision. Overcome your fear of walking down the aisle for a second time by thinking about you and your own happiness. Maybe this is your chance to truly feel settled for once and give yourself a better life in the future. Stop worrying about what other people think and focus on why you’re committing to this person and the positive feelings you have when you’re around your partner. It’s likely a lot of your fears will disappear when you take this factor into account and do what’s best for you. Weddings are stressful, and they require a lot of your time and money. What you can do to overcome your fear of getting remarried is to focus on the fun you’ll have on the honeymoon. Plan ahead and book a trip to the St Louis Missouri Escape Room so you have an exciting activity to look forward to when the wedding is done, and you and your new spouse are starting your life together. This mindset is sure to get you through the wedding and focusing on what truly matters, which is the love between you two. Know that feeling apprehensive about walking down the aisle again is normal. However, you can’t let fear stop you if it’s honestly what’s going to bring you joy. 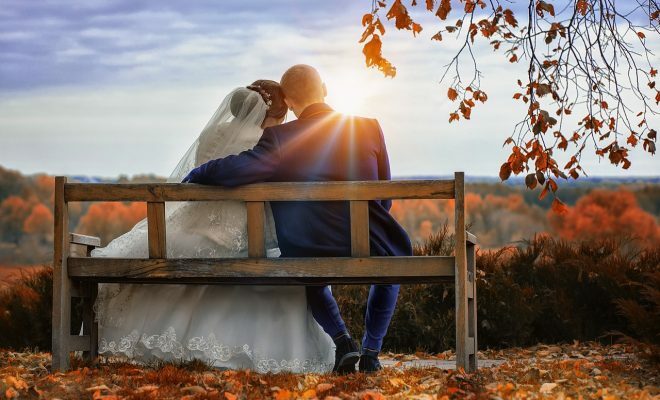 These are a few suggestions that should help ease your worries and have you feeling comfortable with your choice to go on with the wedding.